Is Salt Really That Bad? The fact is, that the body can tolerate a heck of a lot of sodium and has the capability to get rid of it ifthe kidneys and other organs are functioning properly. Everyone has experienced it: Your body retains water when you eat a high salt meal, you’re thirsty and get bloated. It does this to maintain a stable concentration of sodium in the bloodstream. More water retained, less concentration. This extra fluid retention results in a temporary increase in blood pressure until everything returns to normal as the kidneys catch up and excrete the excess sodium and water. Not a big deal unless you are constantly taking in too much sodium throwing everything off balance. Lets face it, salt does taste good on some foods and brings out flavor, but adding it all the time out of habit is bad medicine. And, you do get enough salt the foods you eat: fruit, vegetables, meats, and eggs all have sodium, so adding table salt really is overdoing it. There are a ton of other seasonings and herbs to explore which are a heck of a lot more tasty and a lot better for you. Going out of your way to drastically eliminate sodium consumption can have a reverse effect. If the body senses too little sodium concentration in the blood, a substance called Renin is released to holds on to sodium instead of excreting it. The fears and vilification of salt began in the early 1900’s and continues to this day. 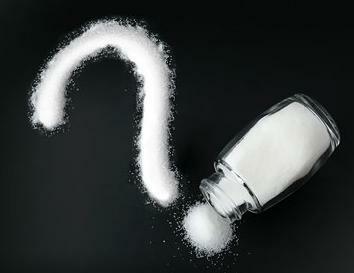 If you’ve ever had high blood pressure, chances are salt is fingered as the prime suspect. “Cut your salt intake and take this blood pressure medication and you’ll be fine”, you are told. Sure, increased sodium intake can raise blood pressure, but it also regulates blood pressure, and is critical in many other bodily functions. Lately however, some researchers have begun taming down the attack on salt as the sole source of high blood pressure and focused in on other factors, such as: How much potassium and magnesium we are getting, how many processed foods we are eating, stress, hypertension, and even excess fructose. These factors have all been gaining focus and attention, and in fact, are the real risk factors for high blood pressure and eventual cardiovascular disease, not the salt shaker. Balance of electrolytes within the body is imperative to efficient function. Various hormones regulate sodium, potassium, calcium, magnesium, and chloride in the kidneys. Any imbalance for too long, too often and there will be problems. The typical human diet loaded with acid-forming grains, sugars, and salts forces the kidneys to work harder, get overloaded, and pull minerals from other locations. This is where the problem starts: eating habits, leading to problems such as Kidney Stones, Osteoporosis (calcium pulled from bones to neutralize acid), Arterial Blockage (excess calcium floating around), Arthritis, Systemic Inflammation, Gout, and Hypokalemia. Lynn Silver and Thomas Farley write: “The safest and preferred pathway to increase dietary potassium is to increase the consumption of unprocessed, potassium-rich fruits and vegetables,” but point out that years of educational campaigns have had little impact. People continue to ingest huge amounts of salt, get high blood pressure, and rely on lowering medication instead of cleaning up their diet. Potassium helps neutralize excess sodium to maintain balance in the kidneys. Avocados, sweet potatoes, chard, and most fruits are excellent sources of potassium. Magnesium is one of the most depleted minerals in our soil, which transfers to fruit and vegetables lacking this critical mineral. Magnesium is essential to all cells of all known living organisms, and lacking it can inhibit bone growth, lower the absorption rate of calcium, promote asthma, migraines, cramps, hypertension, fibromyalgia, and increase overall inflammation within the body. Good sources of Magnesium include leafy greens, like spinach, swiss chard, and kale, nuts, halibut, pumpkin seeds, dark chocolate (yes! ), and mineral-rich spring waters. The average human diet is loaded with sugar, mostly in the form of high fructose corn syrup. HFCS and refined sugars are in literally thousands of foods and are strongly linked to hypertension. Of critical importance to hypertension and elevated blood pressure is the presence of fructose in the small intestine, which increases absorption of salt and retention in the kidneys. Regular consumption of sugar, starch, and grain consumption allows sodium to seep into the system, which increases blood pressure through water retention, leading to hypertension. Other problems with excess fructose include: additional work by the kidneys to evacuate the water and sodium, unnecessary formation and release of triglycerides by the liver, into the bloodstream, unwanted fructose absorbed into the bloodstream itself, and excess circulating sodium is a known aggravator and trigger of Asthma. 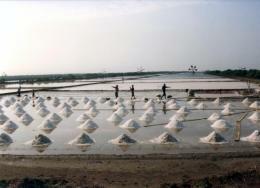 Psychosocial stress is a major cause of hypertension, even among people with low-salt diets. Throwing stress and its associated metabolic reactions into the mix of a poor diet is like gas on a fire. The side effects of pharmaceuticals are well known, many of which cause bloating, liver malfunction, kidney stress, hormone dysregulation, all contributing to imbalance in the body. Finding out the cause of a problem is much safer than simply taking a drug to mask the symptoms. Although it’s not always feasible financially or logistically to eat organic food, the fact is commercially grown produce is raised in soil that is stripped of nutrients yields produce that is stripped of nutrients. Over-fertilization, certain pesticides, waxes, and picking produce before it’s ripe all contribute to a less-nutrient dense apple or piece of broccoli. Social drinking is of epic proportions. Gluten in beer and the havoc alcohol does to the liver all contribute to malfunction elsewhere in the body, especially the kidneys.